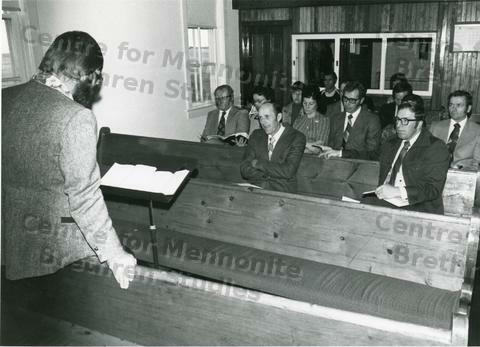 This photo is of Cliff Janzen teaching an adult Sunday School class at Brotherfield MB Church. Dave Sawatsky (right) and Walter Willms (2nd fr. right) are seated in the audience.